Hey There Hunt families - The 2011 Community Dinner last Tuesday was a smashing success. Thank you to Barb Prine for her organizing and to all the teachers, students, parents and volunteers who helped put the dinner together. What a beautiful combined effort this was to see and participate in. So glad to see the hordes of Hunt families turning out for this event! Hunt School Newsletter - Did you know that Hunt school puts out a monthly newsletter at the beginning of each month? You can find it on the right side of the Hunt homepage. The November newsletter is already posted - check it out! If you would like a paper copy mailed to your home each month, please contact the office to request it. Smencils make great stocking stuffers or favors for a party. The PTO plans to sell Smencils at events this Fall/winter. If you cannot wait, contact Gabi Baumann at gamabaumann@burlingtontelecom.net and she can make arrangements for a smencil drop. Book Fair Info from Mrs.Pawlusiak: Hunt's annual Book Fair will begin on the evening of December 7th. In the past few years I have set up the cases in the lobby so that parents could purchase books before the concerts. I will need volunteers for about an hour 6 - 7pm on 12/7 before the Chorus Concert. Again on the evening of Wednesday 12/14 the Book Fair will be open from 6 - 7 pm before the Band Concert. It would be nice to have 2 volunteers for each of the concerts. I will plan to be at the Chorus Concert and the Band Concert to make sure the cases and the cash register are set up. On Thursday 12/8, Friday 12/9, Monday 12/12, Tuesday 12/13 and Wednesday 12/14 the Book Fair will be open from 8:00 am until 3:15 pm. We have done shifts of 2 hours 8 -10, 10 - 12, 12 - 2, 2 - 3+ or some volunteers have spent the morning from 8 - 12 and afternoon from 12 - 3+. It doesn't matter to me how long the shifts are!! During the day we need one volunteer per shift. Last year we did not sell enough books to reach the benchmark I needed to make money. I received only Scholastic Dollars to purchase Scholastic books. In the past I have used the money we made to purchase a stand up catalog station and a wood book case for one of our collections. It is also helpful to have money that can be accessed quickly for the books I want to purchase immediately from B&N or Borders as opposed to ordering through a vendor which can take a number of weeks. Hunt Gardens HUGE thank you to Anne Williams for all the work she did over the weekend weeding the flower beds and carting around 5 cubic yards of topsoil. We have Susan Rutherford to thank for getting the soil and the volunteers. Susan was persistent in making sure the school district replaced the soil removed during construction so we can be sure to have the means to garden out front at Hunt - Thank you ladies- we are grateful for your hard work! Box Tops - Your Hunt PTO has signed up for the Box Tops for Education program and placed a collection box in the main office, on the blue shelf to the left of the door. Please support our PTO and our kids by saving box tops and sending them to school with your student to place in the collection box. All the money we earn will go directly toward great out of classroom experiences for our kids including field trips, 8th grade graduation, 6th grade picnic, the community dinner, and materials for the classrooms. Save your Box Tops for Education and support our kids!! Contact Susan Rutherford at 951-2571 or susanrutherford@hotmail.com with any questions, ideas or concerns. Thanks!! Fundraising - Check out the thermometer (at left) and see where we're at! 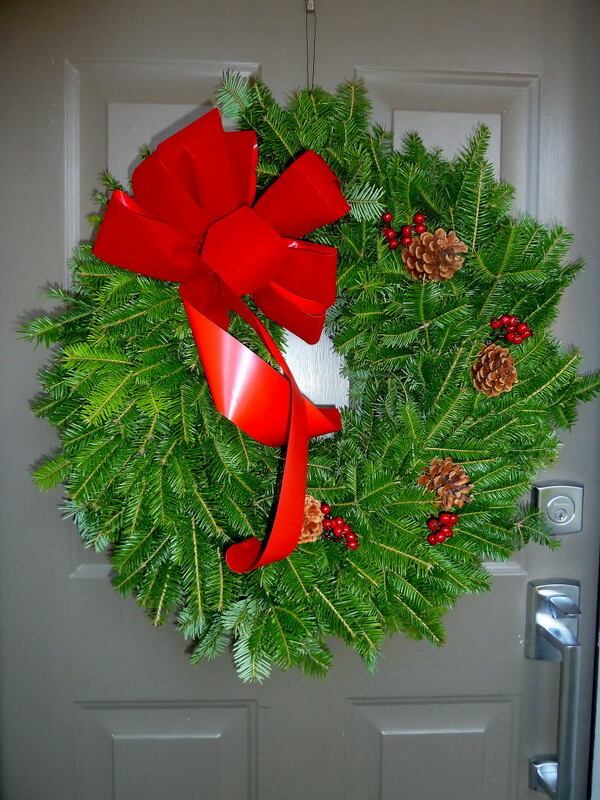 Holiday Wreaths: Orders due for Holiday Wreaths November 11th! !-In case you have not heard, your PTO is selling fresh, reasonably priced, balsam wreaths. This year's offerings also include traditional centerpieces and kissing balls that will brighten your home or table. These Vermont-made products make great gifts for your family and friends. 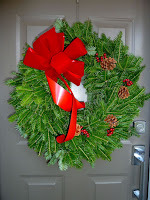 These wreaths are the finest wreaths found anywhere and hand-crafted in the Northeast Kingdom of Vermont. 100% of proceeds will go directly toward PTO activities including team field trips, school-wide assemblies, 8th grade graduation, 6th grade orientation picnic, the community dinner, diversity day, and many other enrichment activities. Order forms can be found in the main office, the Hunt PTO blog spot, or the Hunt website. Orders can also be given over the phone to Gabi Baumann at 660-9189 or email gamabaumann@burlingtontelecom.net or Susan Rutherford at 951-2571 or susanrutherford@hotmail.com Please support your PTO and order now! 1:1 access to netbooks on a daily basis? As a parent with a child in one of these classrooms, I can testify to the incredible opportunities my son is being given in integrating technology into his day to day classwork. Students are using googledocs to share documents/collaborate both in school and at home. Instead of paper posters, students are learning to use an e version called glogster. This allows them to embed video and images as well as traditional text. The tight school budget allows for the rare fieldtrip, but students are taking virtual fieldtrips to historical sites/towns around the state on a site called geocaching.com. Students take turns making slides in Powerpoint and have the opportunity to present the information back to their classmates. During core classes, some students use the netbooks to dig deeper into the curriculum if they finish early- exploring curriculum related sites and activities. On the flip side, there are many sites being used for remediation and basic skills work. Each child can get what he/she needs and the extra motivation of using the computer can help keep them engaged longer. While I am thrilled at the crazy-mad computer/research skills my son is developing this year and the collaborating I am seeing, I am already thinking to the future and asking questions about what technology will be available to my children going forward. What are your thoughts? How much access to technology does your child have? What do you want/envision? November 17 - 7-8pm - PTO Meeting (childcare provided) Everyone welcome!